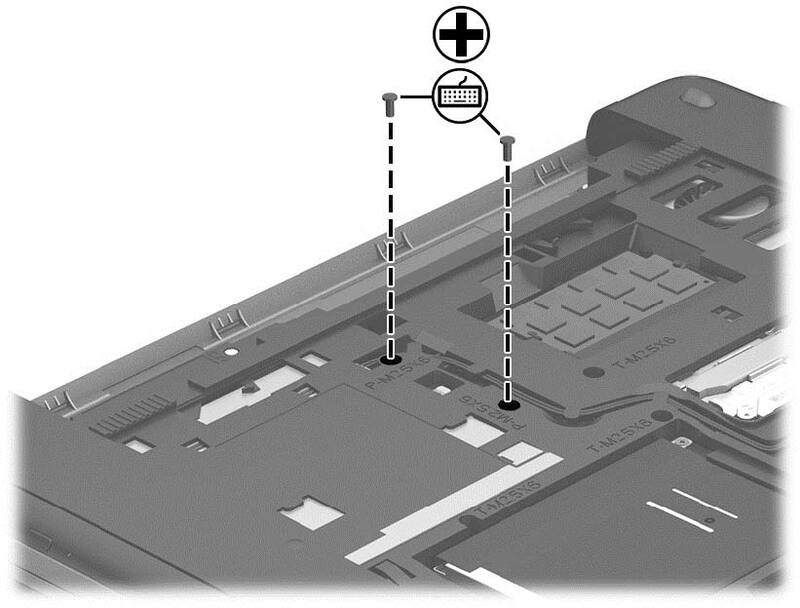 This guide is for HP Probook 450 G1 series. Other models should be similar. 3. Disconnect the power from the computer by first unplugging the power cord from the AC outlet, and then unplugging the AC adapter from the computer. 5. Remove the service door. 2. Remove the 2 Phillips PM2.5×6.0 screws that secure the keyboard to the computer. 3. Position the computer upright with the front toward you. 4. Open the computer as far as possible. 5. 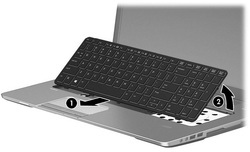 Slide the keyboard slightly downward toward the palm rest to disengage the top of the keyboard from the top cover (1). 6. 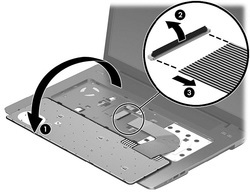 Lift the top of the keyboard up at an angle (2). 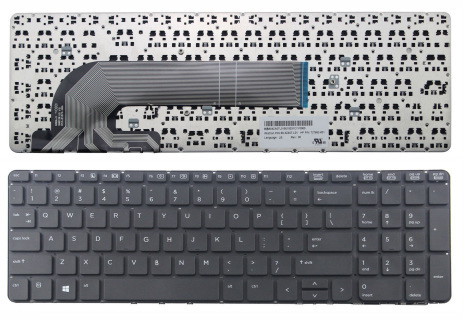 NOTE: Make sure not to prematurely pull the keyboard cable out of the system board connector. 7. 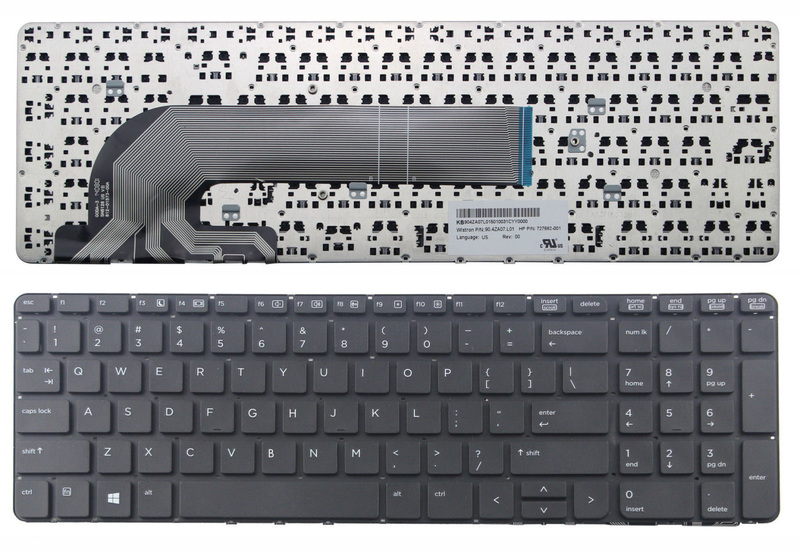 Rotate the keyboard until it rests on the palm rest (1), and then disconnect the keyboard cable by lifting the keyboard connector latch (2), and then disconnecting the keyboard cable from the system board (3).